UK could not finish the sweep of Arkansas after a 4-1 loss in game two of the double-header in a five-inning game that was shortened due to Southeastern Conference travel rules. 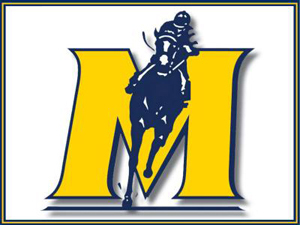 Sophomore left-handed pitcher Taylor Rogers took the loss after surrendering four runs on eight hits in five innings while striking out two batters and walking none. Freshman second baseman Matt Reida was 2-2 with one RBI. (Box Score) On April 25 UK, Arkansas and the NCAA decided the statistics from the incomplete sixth inning would count in the game, meaning the final score was 5-1 and Matt Reida was 3-3. 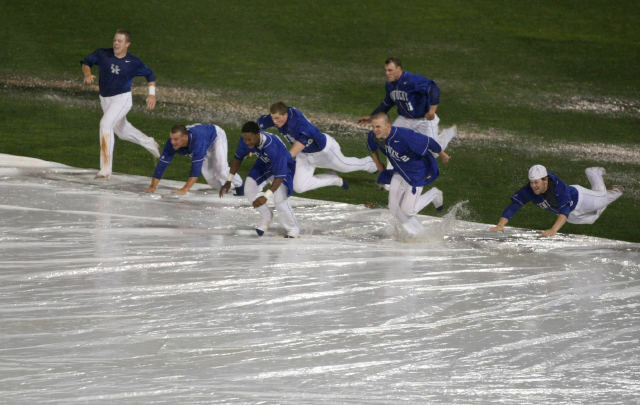 You can read BluGrass Baseball‘s full recap of the University of Kentucky 12-3 win over Morehead State Universityhere. Senior right-handed pitcher Brian Edelen will start for Western Kentucky University Wednesday in its game versus Lipscomb. Jeff Wilson of the Fort Worth Star-Telegram reports Ashland native and former UK right-handed pitcher Brandon Webb had no ill-effects after a long-toss session Tuesday morning. 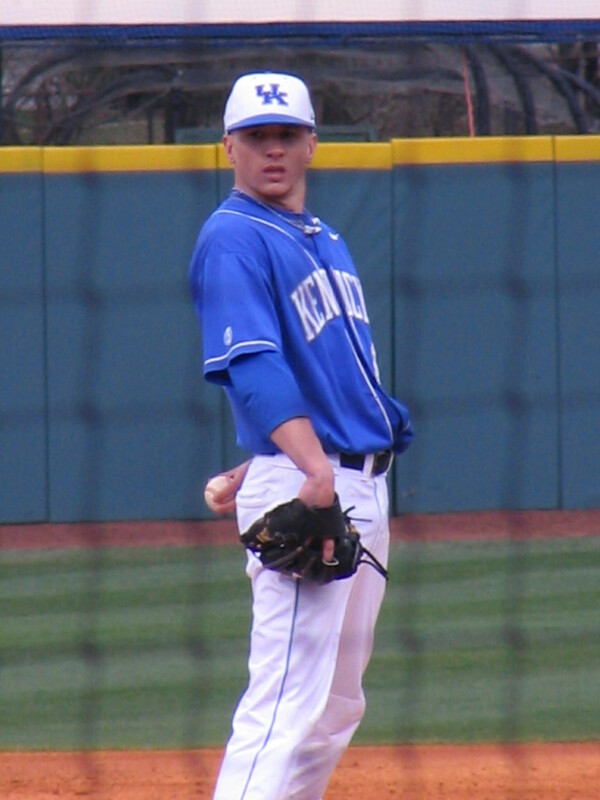 In the first intrastate matchup of the 2011 season the University of Kentucky had no trouble with the Morehead State University pitching staff in a 12-3 win. Six different UK batters tallied multiple hits in the game. 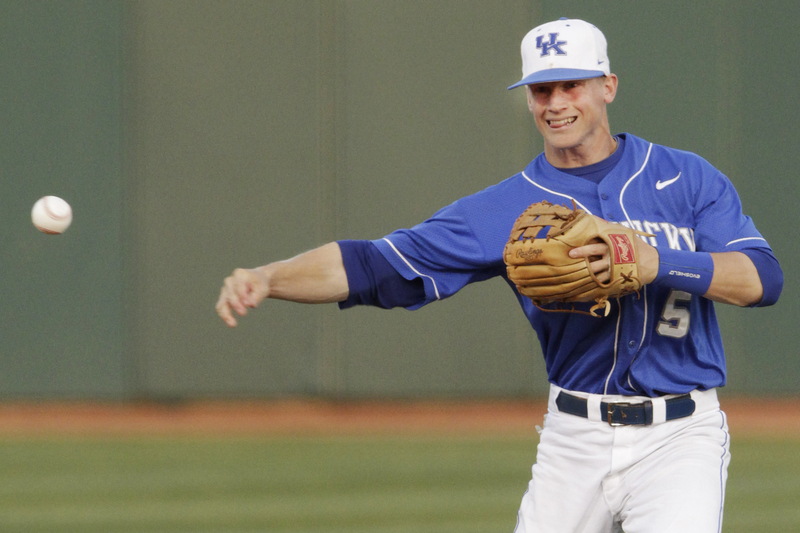 UK junior outfielder Chad Wright was 3-4 with a home run, three RBI and two runs scored. 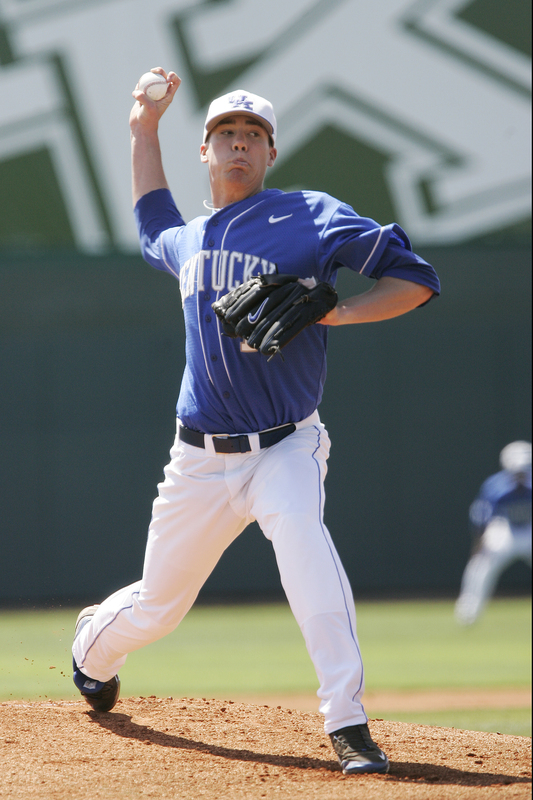 UK Sophomore right-handed pitcher Walter Wijas was credited with the win after pitching three and two-third scoreless innings in relief. Wijas struck out three batters and walked two. UK freshman second baseman Matt Reida was 3-5 with one RBI and two runs scored in the game, and junior third baseman Thomas McCarthy was 3-5 with one RBI and two runs scored. 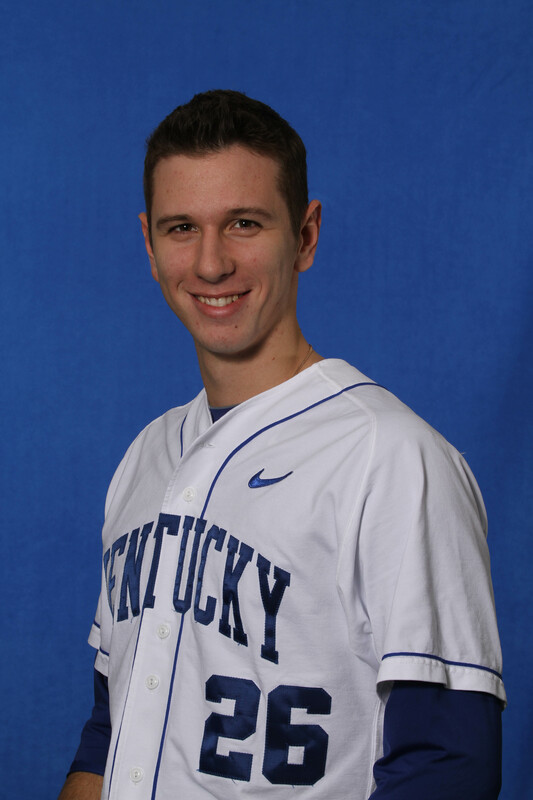 UK freshman right-handed pitcher Jonathan Paquet surrendered two runs in three innings in his first collegiate start. Henderson said the second base job is wide open but later admitted he would lean toward playing the strongest defensive player. While outlining the second base candidates, he made a point to emphasize freshman Matt Reida‘s defensive ability, so that probably offers a little glimpse at Henderson’s current thinking. Senior shortstop Taylor Black said he seriously considered signing with the St. Louis Cardinals after being drafted in 2010. 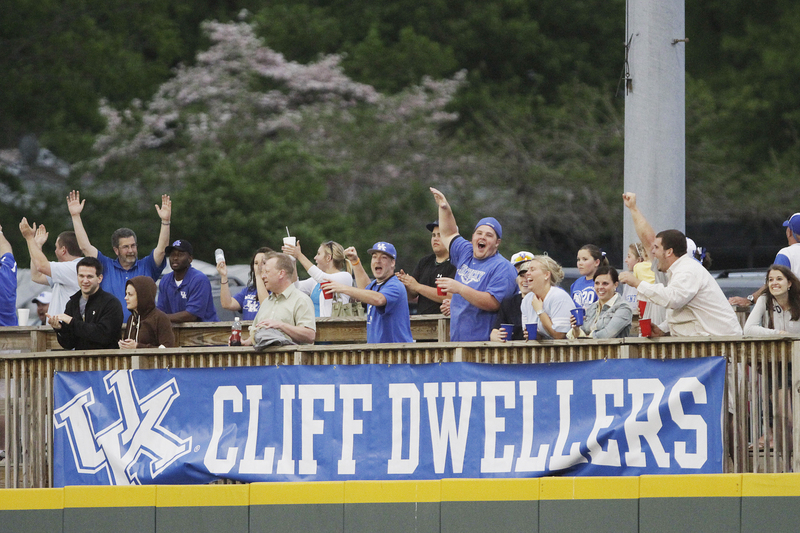 “In the end I though it was best for me to come back to the Cliff for my degree and another year,” he told BluGrass Baseball. Black is the only 2010 Cat who was drafted that elected to return to school. Henderson said if the season started today junior everything man Braden Kapteyn would be the starting first baseman, but noted “somebody has to be able to play there when he’s pitching.” For now it looks like either Luke Maile or Michael Williams will be the backup first baseman when the other is catching. While Reida may have a leg up in the second base battle, Henderson said freshman infielder J. T. Riddle was “kind of forcing our hand offensively.” Henderson noted Riddle keeps hitting line drives in the intrasquad games and eventually they will need to find a spot for him in the lineup if he keeps performing. Henderson even suggested Riddle might get a look at first base. There was lots of talk about the new NCAA mandated bats. 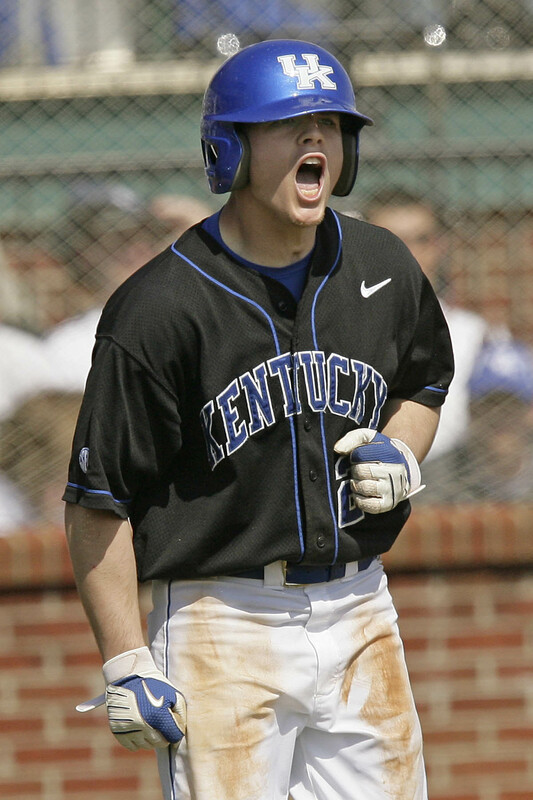 Each of the four players suggested that bats might even out some of the major losses on the UK offense. Henderson said he thought the complaining some other SEC coaches had done about the bats was overblown. Alex Meyer confirmed a recent media report that he’s been working on a changeup this offseason. Henderson said the changeup would be especially useful the third time through the lineup when batters began to adapt to Meyer’s other two pitches. I asked Meyer about his adjustment to throwing to new catchers after mainstay Marcus Nidiffer‘s graduation, and he said Nidiffer would be missed but was confident he would quickly adjust to Maile and Williams. Henderson said freshman Corey Littrell and junior Alex Phillips would be the midweek starting pitchers to begin the season. If either of them falters or an injury necessitates a change, freshmen Trevor Gott and Jonathan Paquet would be next in line for starts.